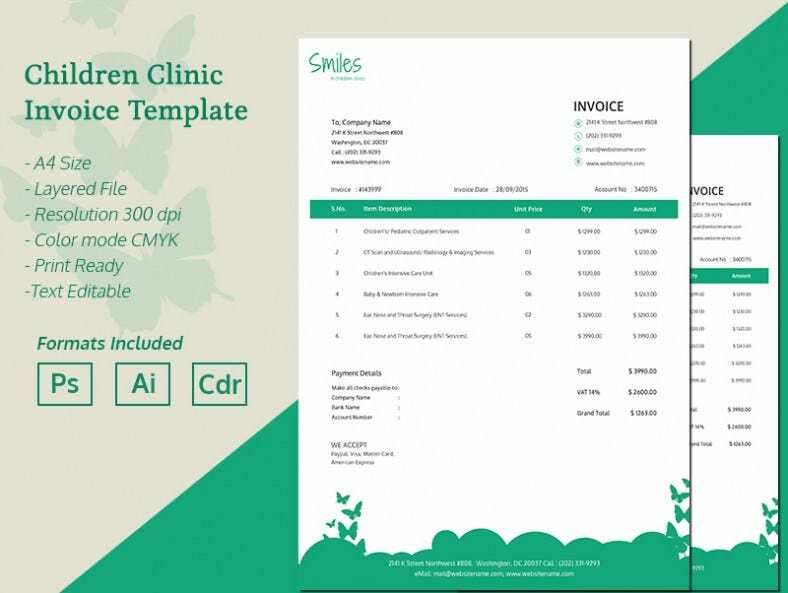 The children clinic A4 Invoice Template is perfect for paediatric hospitals. It has space to fill in the name and address of the hospital along with the invoice number, invoice date, details of the medical tests performed on the child along with their unit price, total outstanding bill amount due from the patient to the hospital and other relevant information. 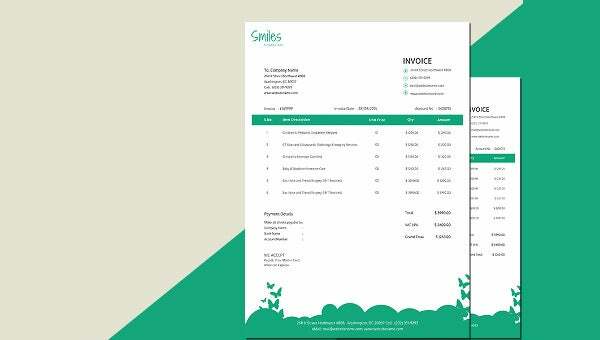 Available in AI, PSI and CorelDraw formats, this invoice template comes in a 300 DPI resolution, is easily editable, has bleed support and print readiness. The user can also add the logo of the hospital on this fully layered and editable file.